As part of the self-select exhibit/sponsorship process, you can simply go straight to the registration site, pick your preferences and register. All preferences have a "more info" link, which will tell you in detail about each preference. You will also be confident to know that our online self-select pricing is our lowest pricing offers available. Below are some resources to help you get a feel for the event, and sponsorship brochures if you prefer a PDF version to provide details of the preferences and benefits, while you go through the self-select process. The above picture depicts what the 1-2-1 all day meeting hub will look like. BTOES19 has been reimagined. It has been re-designed to get even more business done and deliver the maximum number of meaningful conversations and commercial connections with the right people, in the right companies, who are looking for solutions and to accelerate their buying cycles. Designed to drive the best attendees. Over 850 senior executives from companies with over $1BN revenues, paying up to $5,495 to attend; hence are highly responsive to solutions and are looking to accelerate their buying cycles. All in a highly intimate, multiple interaction setting. BTOES Meeting Hub & Exhibit Hall - Designed to Get Business Done. One central hub for receptions, breakfast, breaks, luncheons, roundtables, 1-2-1 meetings, and exhibits. All-day upscale Food & Beverage. Gives you more time with attendees to do business. No more only meeting attendees in the breaks, you will meet them throughout the day. Pre-booked 1-2-1 meetings all day. Scheduled 15 or 30-minute meetings with top prospects, with detailed profiling information to select the right prospects with the right budgets, who are looking for your solution. Meeting delivered, comes with a money back guarantee. Be a part of All Day Topic & Industry Roundtable Sessions. 30 minute breaks between sessions. No rush, finish that Q&A and chat with prospects. Guaranteed campaign lead generation options via BTOES Insights to our community of 180,000 subscribers and 47,000 monthly visitors. Instant access to all participants available from 2 weeks before the Summit starts. Engage with the industry’s largest senior-management audience. The Business Transformation & Operational Excellence World Summit & Industry Awards, is the premier senior-management event in Operational Excellence! BTOES defines the ecosystem and is where the industry leaders gather to create the future. It brings together the best and brightest individuals & organizations from across key sectors to engage, network, benchmark and discuss the key challenges and future trends. Uniquely designed, to drive the best attendees, deliver exceptional content, and be the most engaging event in the industry. 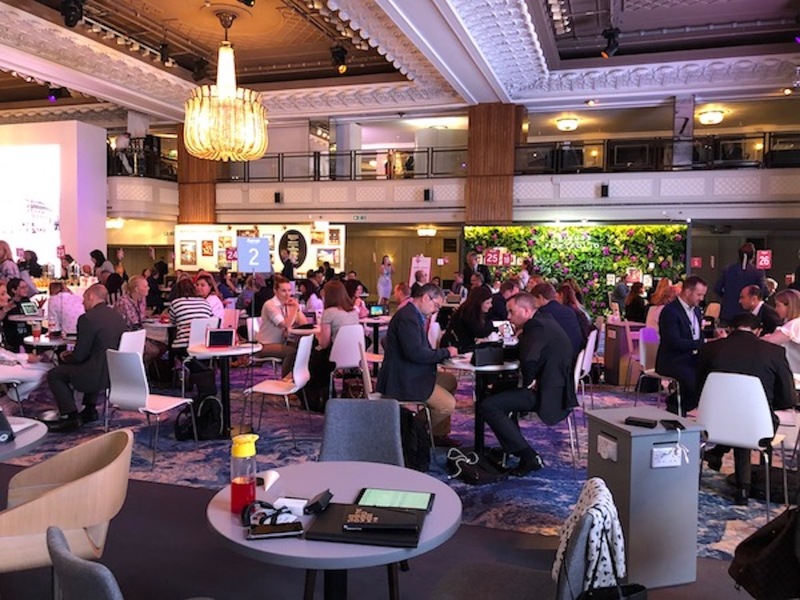 Accessing real dealmakers, our events will place you where the deals are and deliver a large number of meaningful conversations and commercial connections. In short, generate a high number of highly relevant leads; the right people, in the right companies, who are looking to accelerate their buying cycles. Be recognised by your customers and prospects as an industry thought and innovation leader.